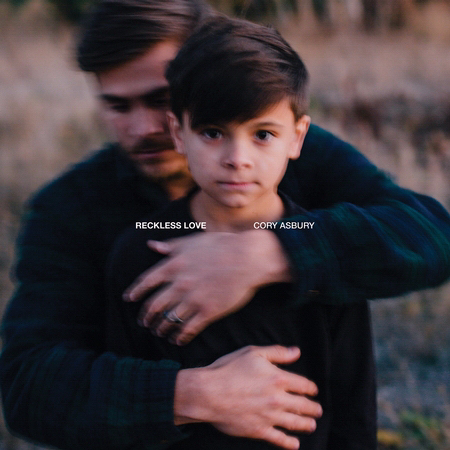 New from Bethel Music, Reckless Love is the solo album from Cory Asbury that explores what it means to have God as your father. Worship leader and songwriter Cory Asbury has crafted a powerful new album that marks his first release as a Bethel Music artist and his second full-length release to date. For Cory, the album is an organic, soulful journey into the heart of the Father, and certainly his most personal and honest yet. A collection of 10 songs, "Reckless Love" is a whole-hearted telling of an essential story in Scripture: a Father's desire forconnection with the ones he made, knows, and relentlessly loves. Known for his versatile and soulful sound, Cory's vocals convey greater resolve and vulnerability than ever before throughout each of these acoustic-driven songs. In it's entirety, "Reckless Love" is about finding identity inGod and being found by Him- fully and finally. The album's title track depicts the parable of the lost sheep found in Matthew 18 with contagious passion, "Oh the overwhelming never-ending reckless love of God / Oh it chases me down, fights 'till I'm found, leaves the ninety-nine / I don't deserve it / I couldn't earn it, still You give yourself away..." Inspired by encounters with the Father's love Asbury has experienced, together these songs testify of sonship, the liberty we have as children of God, and the pride that the Father has carried for humanity since the Garden. This album aims all of its attention toward the truth that the Father's company is the best place be, and His voice is the most familiar one we know. "Reckless Love" is like unearthing a map that leads back home, and will take worshippers into a place of rest, peace and identity in the smile of the Father over their life. Reckless Love by Cory Asbury was published by Bethel in January 2018 and is our 795th best seller. The ISBN for Reckless Love is 0610877929580. Excellent album. Singer/songwriter in style. Easy listening in the car and is one of those albums to have on in the background when non Christian friends are over as they are likely to ask who it is. Too many great songs to list here. I bought this CD mainly for ‘Reckless Love’ but am thoroughly enjoying it all! The CD is amazing and the delivery was speedy and well informed of. Take a peek at some articles related to Reckless Love. Got a question? No problem! Just click here to ask us about Reckless Love. Now Playing: Reckless Love Your browser does not support the audio element.